Take in the scenery along Willie White Spur Trail. Five minutes into the drive up the Sacramento Mountains, you can see why locals like to say that Cloudcroft, New Mexico, is 9,000 feet above stress level. The tiny town of one main drag, zero stoplights, and 768 people is like an alpine El Dorado, unknown even to many New Mexicans (it’s five hours south of Santa Fe and about 2,000 feet higher). In June, the wildflowers start blooming and the forests and meadows around Cloudcroft turn into a hiker’s paradise: In a single day, you can picnic by a waterfall, see cactus in bloom, or trek through ponderosa pines. And it’s all minutes from the comforts of a classic Western timber town. Read on for our top five hikes, plus what to do when you’re off the trail. Hiking tip: Stop by the Sacra­mento Ranger District to grab a map of all these hiking trails ($10; 4 Lost Lodge Rd. ; ). Runoff from the Sacramento Mountains keeps the Bluff Springs waterfall going all summer long. It’s an easy stroll to get to picnic benches overlooking the falls. Head west on U.S. 82, then south on State 130; turn left on Forest Rd. 164 and follow signs for Bluff Springs. This quick yet challenging climb starts off with a steep incline and keeps winding upward through Douglas firs and white pines. Keep an eye out for elk and mule deer and be sure to bring a jacket—even in June, there can be patches of snow. Take U.S. 82 for 1 mile; parking and a sign for Osha will be on the right. 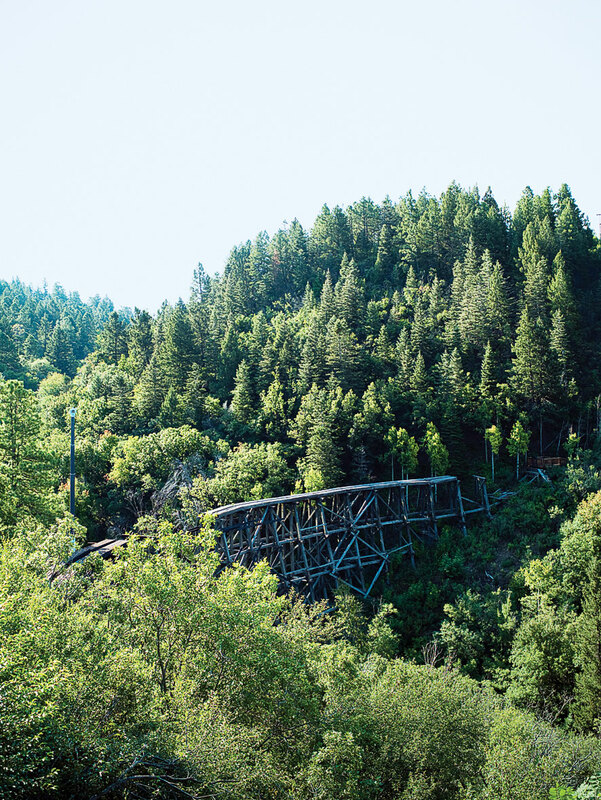 Cloud-Climbing Trestle Trail is one of the more famous hiking spots in Cloudcroft. 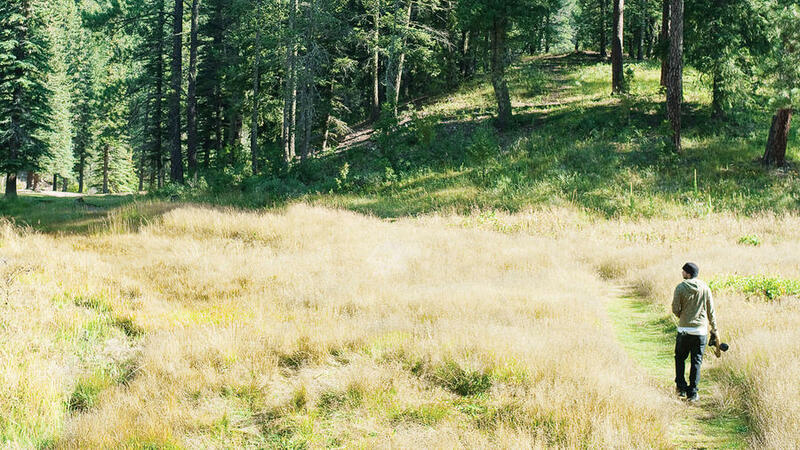 This might be Cloudcroft’s most famous hike—and rightly so. The moderate trail winds through a stand of conifers before opening up to reveal a historic wooden train trestle above Mexican Canyon. The train hasn’t run since 1948, but it’s still a transporting sight. Take U.S. 82 west until you see signs on the left for the trestle depot. Hike through a desert canyon to catch ocotillos, yuccas, and barrel cactus budding out with a rainbow of blossoms. Line Cabin is the turnaround for this challenging trek, but if you’re feeling adventurous, climb for another half-mile to Joplin Ridge, where you’ll get breathtaking views of the town of Alamogordo. Take U.S. 82 to Alamogordo, then head south on U.S. 54 for 12 miles, then east 4 miles on Dog Canyon Rd. to Oliver Lee Memorial State Park. Hit this easy trail early when the sky is clear and see for miles as you hike the rim of the Sacramento Mountains. The views of Tularosa Basin and White Sands National Monument are spectacular. Take State 130 south for 1.9 miles, then State 63/65 for 0.2 miles. Pull out at Slide Campground for trailhead parking. Lodging: Book into for private condos (from $135; two-night minimum) or stay at the (from $115) and have the famous chateaubriand prepared tableside at Rebecca’s ($$$). Follow the locals’ lead and grab breakfast at Western Bar and Cafe. Eating out: Grab breakfast at the Western Bar and Cafe ($; cash or check only; 304 Burro Ave.; 575/682-2445). Try the not-too-spicy chilaquiles or plate-size pancakes. The Mountaintop Mercantile ($; 105 U.S. 82; 575/682-2777) is great for loading up on picnic sandwiches to take on a hike. In the evening, check out the Texas Pit BBQ ($; 211 U.S. 82; 575/682-1101) for outstanding ribs. Exploring: Stroll past the brightly painted storefronts along Burro Avenue and feel like you’ve stepped onto a western movie set. Check out the Bird House (203 U.S. 82; 575/682-6902), where hummingbirds flock to flower-shaped feeders. On your way home, pull off at the Old Apple Barn ($; off U.S. 82 between mile markers 9 and 10; 575/682-2276) and try the fresh apple and cherry ciders. The homemade fudge comes in a close second.